Etsy, the web’s e-commerce clearinghouse for artists, crafters, designers, vintage goods sellers and their suppliers, is like the world’s biggest crafts fair. And, as such it quickly overwhelms the casual visitor, namely me. But today I’m going there and doing a narrowed search for five items inspired by, or incorporating, succulents … Because succulents are still riding the crest of a major moment, I found dozens of pages filled with items that fit that criteria, although most were redundant and commonplace … Of course, I did find some things with Reuben-appeal; here are my 5 succulent-related Etsy faves, as well as a nice bromeliad item. None are very expensive, but all are good looking and do justice to their juicy-leafed inspirations, check ’em out! 1. 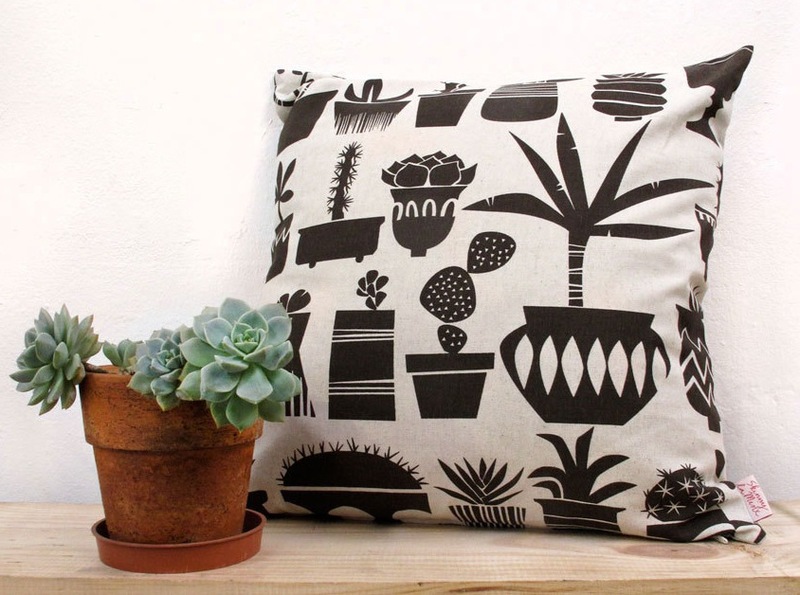 Succulent pillow cover by Skinny LaMinx: Handscreened on cotton/linen, I love the MCM good-looks of this original design. And, even with shipping from South Africa, the $40 price is a bargain. So, I bought two, one in the dark brown and one in orange (they’ll look great at a summertime outdoor party). Click here for the seller’s Etsy shop and be sure to peruse her other designs; she’s got a knack for stylized depictions of natural subjects. 2. 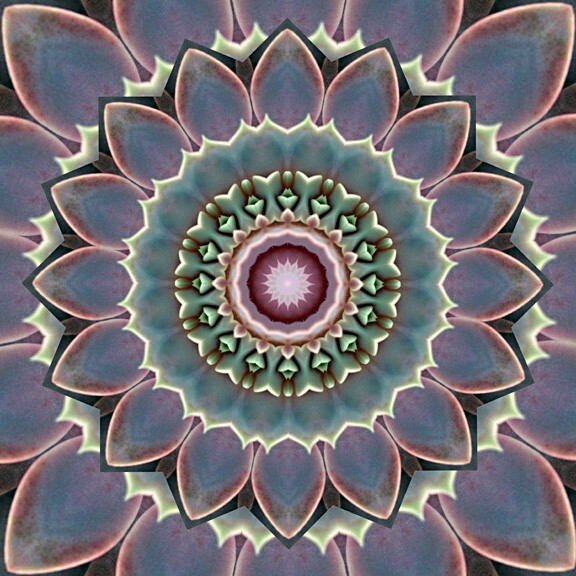 Succulent mandala by Carr Studio: Capturing the mystical colorations and amazing symmetry of a variety of succulents, this printed tile would make an awesome gift … Professionally screened, this small (5″x5″) aluminum tile has a convenient hanger built-in. And, at $38, it wouldn’t break the bank to buy more than one of this seller’s pieces and create a group … NOTE: there’s a sale going on at this shop until January 28th; everything’s 25% off! Click to shop the sale. 3: Green succulent men’s t-shirt by Javier Martinez and Esmeralda Padilla at ZIA SF: There are more opportunities for women to purchase succulent-related clothing and accessories at Etsy than there are for men. 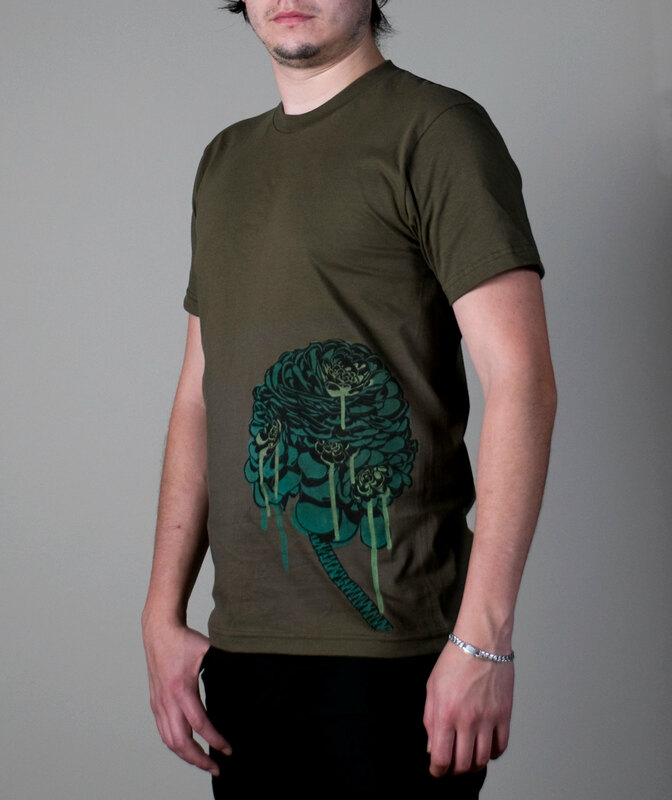 So I was happy to find this cool t-shirt emblazoned with an artfully rendered aeonium rosette. I like the downbeat color combination of teal on olive drab and the unusual placement of the artwork. It’s $25 and I gotta have it! Find more striking wearable art by this pair at their shop here. 4. 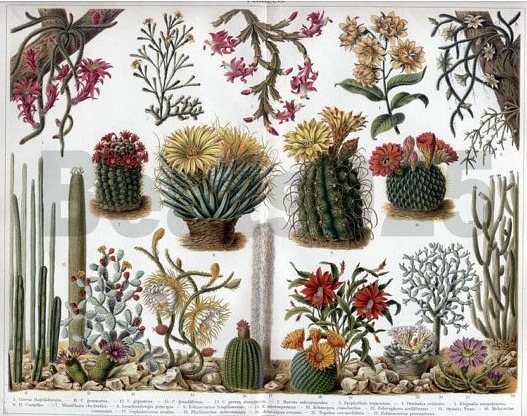 1909 German color lithographic print from Beats 925 Books: Touted as an original print, this colorful piece features fantastical illustrations of various cacti in their natural setting. From Meyer’s Gross Konversations Lexikon, the framable bookplate is a lot of look for not a lot of money: $22, 9.5″ x 12″. Click to the shop here, and be sure to enlarge the detail pics; they’re pretty awesome! 5. Blanche DuBois succulent planter, feminist art, reclaimed rhinestone high heel; eco-friendly from Giddy Spinster: Finally — the circle has been closed between stripper footwear and succulents! Expounding on the “rainbows” that will be produced by the rhinestones on the heel of this “upcycled” lucite platform, seller Giddy Spinster also explains that she uses only organic soils and fertilizers! Blanche DuBois herself offers the piece’s raison d’etre: “I don’t want realism. I want magic!” Get your own for $70. Find the shop, with lots more, here. 6. 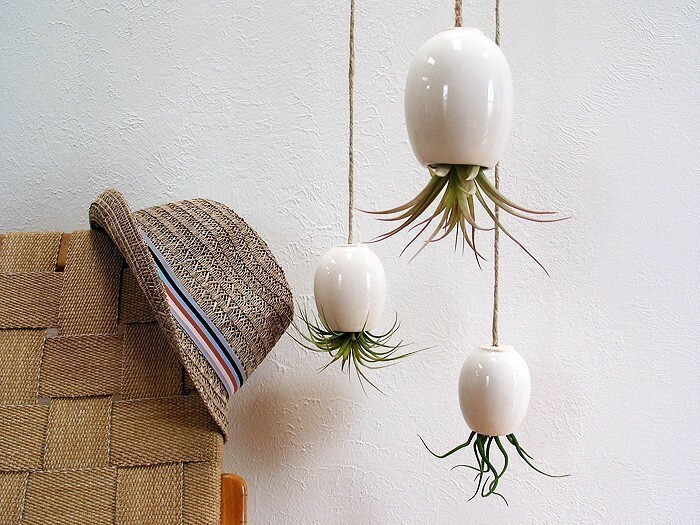 Large Hanging AirPlant Pod by Mud Puppy: Tillandsias — air plants — can look like ETs or undersea dwellers as it is, but suspend them upside down and give them handcrafted ceramic heads and they become alien octopus invaders … and I love them! This seller’s trademarked AirPlant pods are really beautiful, and are available in white as shown, or glossy black. And, check out his baby head vase, creepy-cool! See the smooth goodness at his shop here. SIDEBAR: Spend any time at Etsy and you’ll quickly come to understand that it’s a world all its own … a world full of interesting, creative offerings by artists and designers, much of them handmade. This is the good Etsy. You may also come to the realization that Etsy’s full of fringe-y no-talent hipsters and wannabes with dubious taste levels, offering dubious goods, some of which are actually mass-produced and available elsewhere at much lower prices. This is the bad, often maddening and hilarious, Etsy. And, no one skewers the bad Etsy better than April Winchell, aka Helen Killer, at regretsy.com! She’s been responsible for public transpo guffaws and at-the-office spit-takes with her acid take on Etsy’s dreck. Stop by for a snark attack here. ← RR: Now With Less. Thanks for posting, I love Etsy. You’re welcome, Johanna … do you have a shop on Etsy? Such great finds! 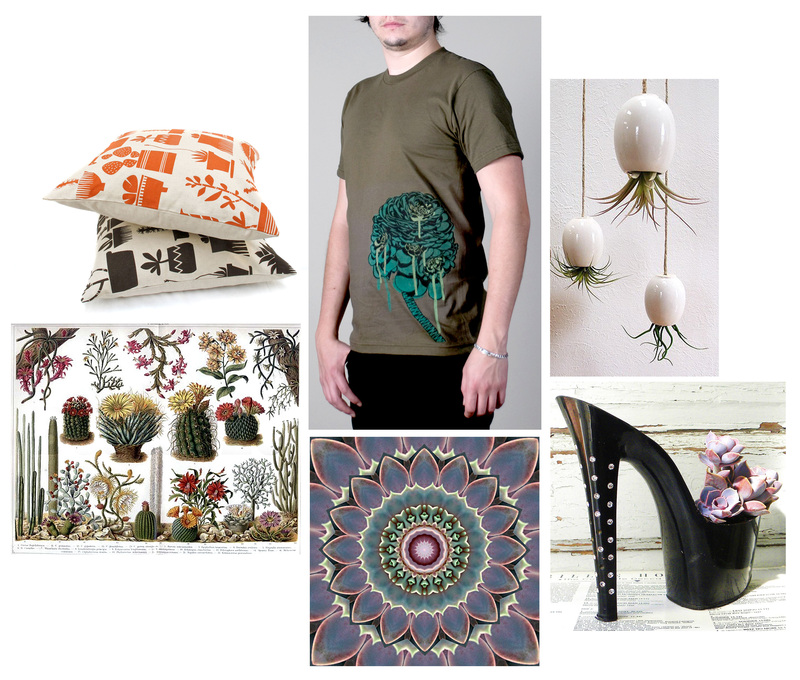 Thanks for including my Succulents cushion, and for your kind words too. You’re welcome, Heather; I can’t wait to get my cushion covers! The mandala is breathtaking. Will have to do a bit of etsy-looking. Isn’t it? … I have a feeling I may have to get one — or three. There goes my idea for making stilettos out of chicken wire, moss & succulents — scooped! Great finds. Keeping up is a full-time job these days!